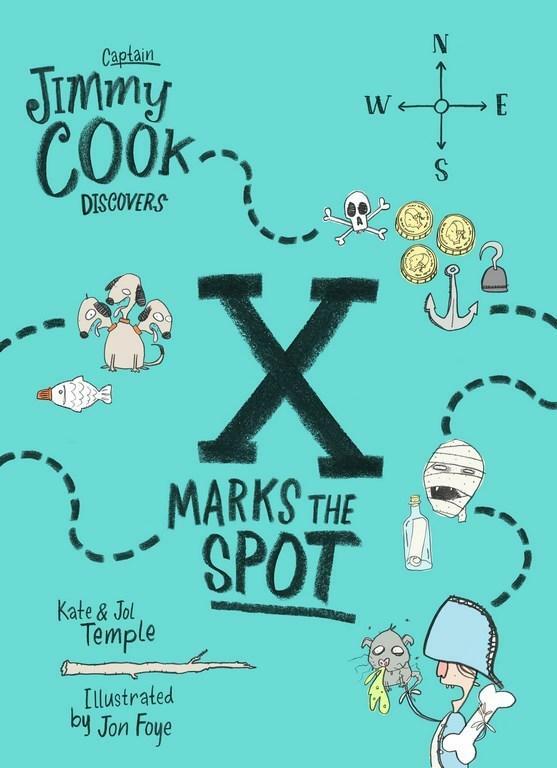 What's a boy like Jimmy Cook - Captain Jimmy Cook - to do when he makes a discovery so extraordinary that it could make him as famous as that other Captain Cook? Certainly not let parents or teachers, or a few rules and expectations stand in his way. Jimmy knows exactly what to do, and he'll make sure he does it wearing his ubiquitous captain's jacket. Because Jimmy has discovered a dinosaur. Well, a dinosaur's footprint really. And he needs top notch digging equipment to get stuck into the dig. Although, all that digging and a big hole draws attention, which is not what an explorer like Jimmy wants just at the moment. The dinosaur dig is meant to be TOP SECRET. Except it doesn't stay that way, especially when Jimmy finds a map that he's certain is a treasure map, because it has an X on it and X always marks the spot you'll find treasure, doesn't it? Soon there are lots of students digging up the playground. That's only the beginning of Captain Jimmy Cook's latest adventure, which takes place over the course of 35 days, and you never know, he might just find some real treasure. Jimmy's story is told with a strong voice, as though he is sitting right in front of you excitedly telling it to you himself. He's sometimes a little confused about some of the things adults say, like 'sayings that don't make any sense'. His vivid imagination and storytelling are also visible in the line drawings interspersed throughout the book (you'll see a mammoth chewed by a dog, a classmate sitting in a pile of rubbish, a robot rubbish bin and other not so random things). 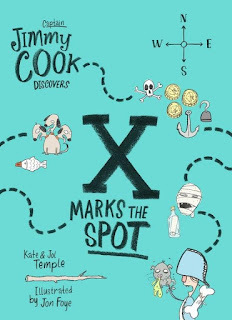 Captain Jimmy Cook Discovers X Marks the Spot is written by Kate and Jol Temple and illustrated by Jon Foye. They've created a loveable, rascally kid who seems to land on his feet, despite his somewhat unusual approach to life. If you love Jimmy Cook in this book, look out for the first in the series as well, which has been shortlisted for the 2017 Children's Book of the Year Award for Younger Readers. It's called Jimmy Cook Discovers Third Grade.